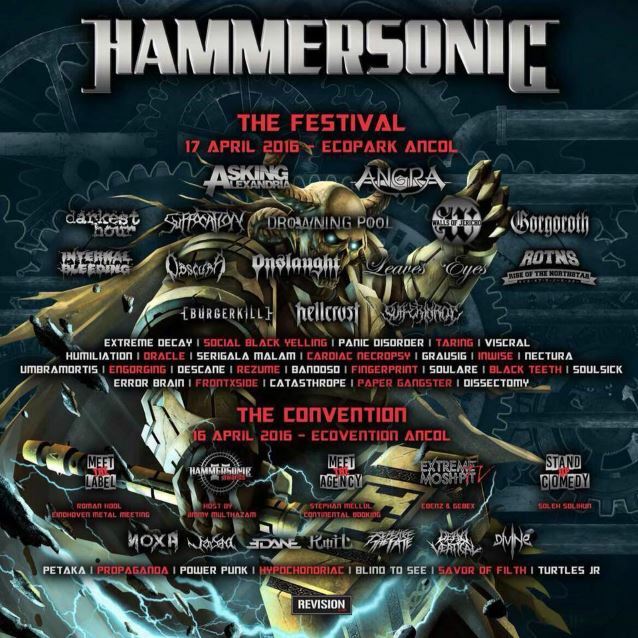 LEAVES' EYES made its live debut with new singer Elina Siirala on Sunday, April 17 at the Hammersonic festival in Jakarta, Indonesia. 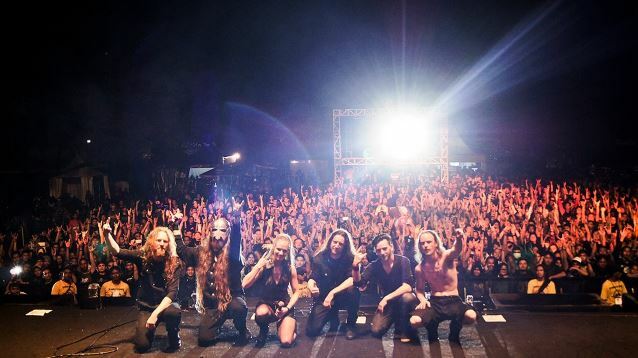 Fan-filmed video footage of the band's performance can be seen below. LEAVES' EYES announced this past weekend that it had parted ways with Norwegian singer Liv Kristine and replaced her with Siirala, a Finnish vocalist who lives in London, England. There will be an earbook tour edition of LEAVES' EYES' latest album, "King Of Kings", released in June, including a new version and video for the song "Edge Of Steel", featuring Elina. There will also be a U.S. edition of "King Of Kings" with the new version of "Edge Of Steel" as a bonus track.